Unseasonably sunny skies and high temperatures are giving way to wet and windy weather, as a system dubbed Orestes sweeps into the country on Sunday. Starting in the Ionian Sea and western Greece, and spreading to Central Macedonia, Thessaly, the islands of the Sporades and later to the rest of the mainland, the system is bringing strong showers and winds as high as 8 on the Beaufort scale, particularly at sea. 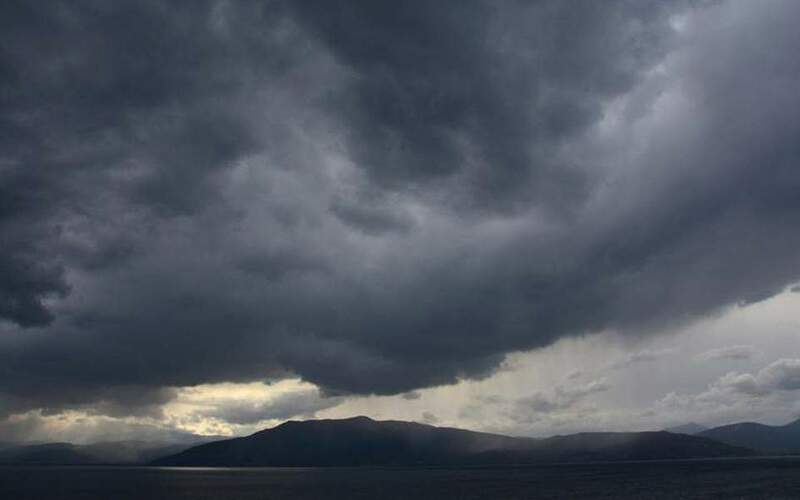 The strong winds and storms will expand to the islands of the Aegean on Tuesday, as well as to the Peloponnese, the national weather service has warned. Temperatures are also expected to drop quite harshly, by as much as 10 degrees Celsius during the day. Hail is expected in northern parts, which may also see some snow at higher altitudes.